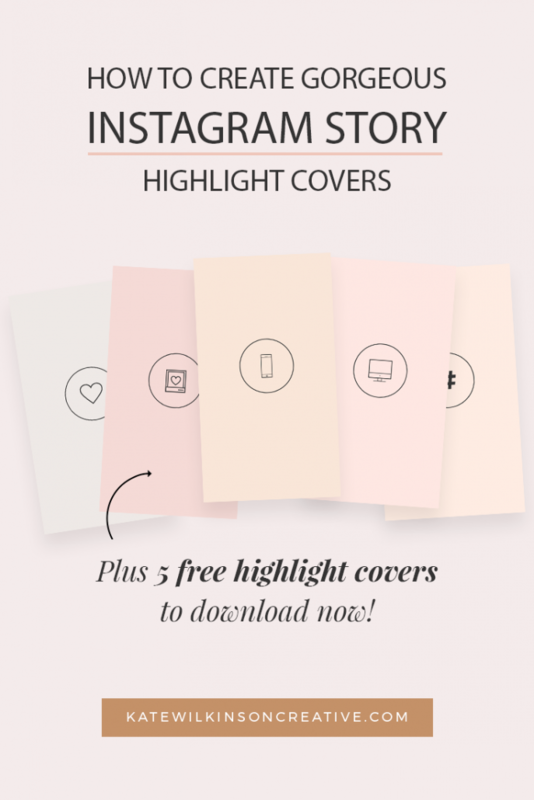 You may have noticed recently that some of your favourite Instagram accounts have jazzed up their Instagram Story Highlights with custom covers. The great news? These are incredibly easy to create, straight from your cell phone. Today I’m going to show you how you too you can create custom covers for your own Instagram Story highlights. TIP: Too busy to create your own? 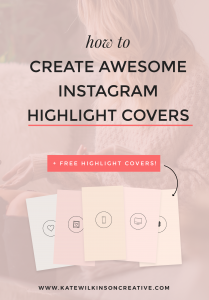 Download my pack of free highlight covers below, then scroll to the end of this post to read how to upload them to Instagram. This will come into play a little later on. 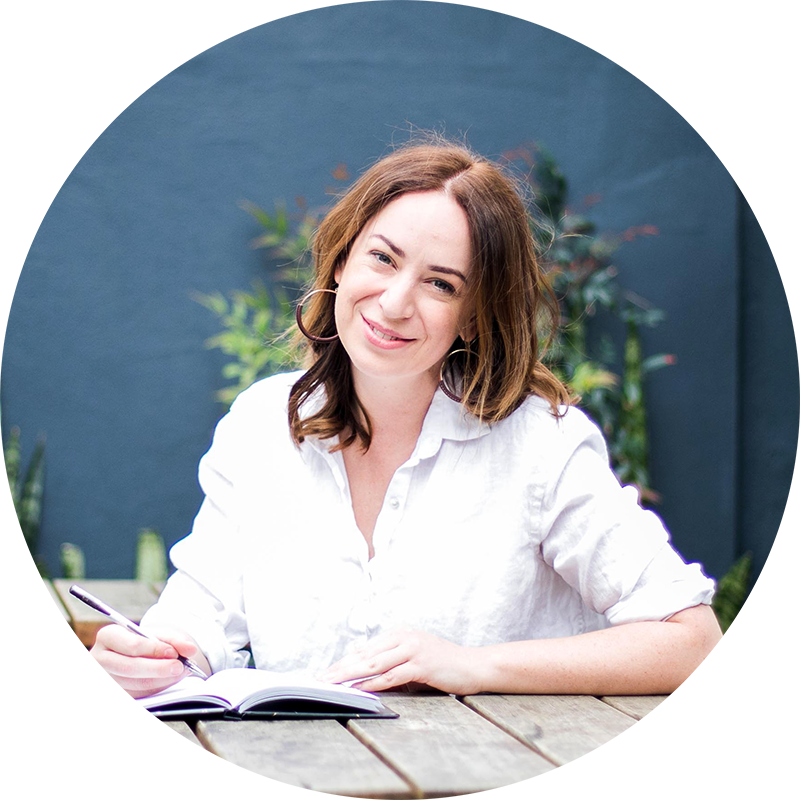 Today we’re designing with Canva, in particular, their mobile app (this has the Story Template that we’re going to customise) and is the exact method I used to create the covers on my Instagram profile. 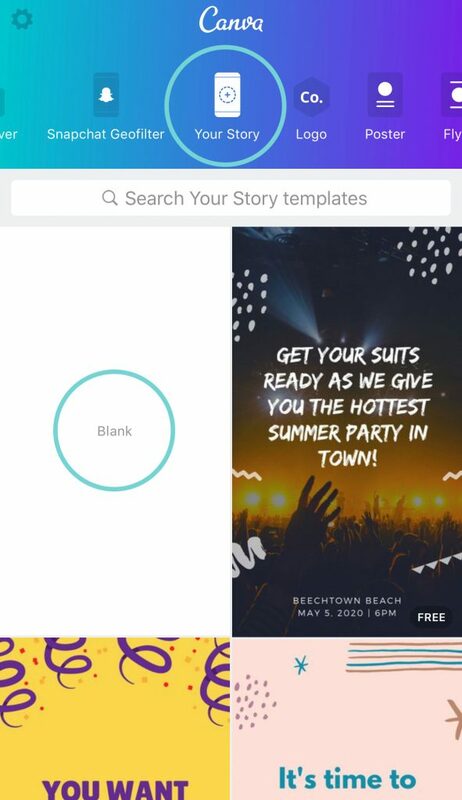 Open the mobile app and scroll through the templates at the top of the screen until you find Your Story. Now it’s time to get designing! 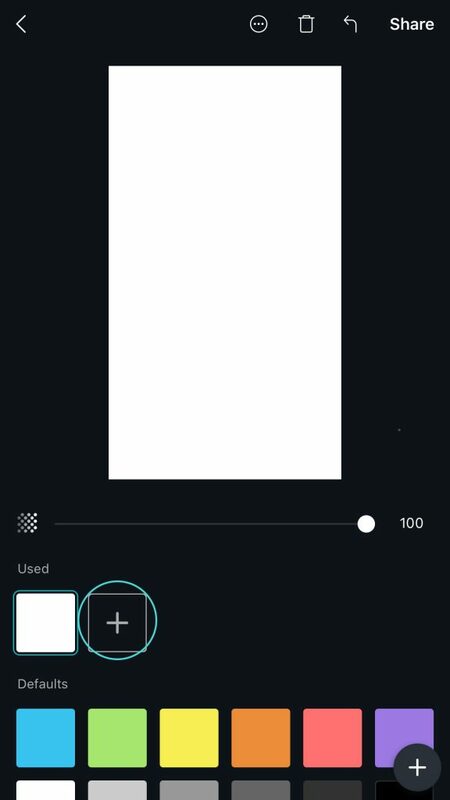 To edit the background colour, tap on the blank canvas and a series of swatches will appear. 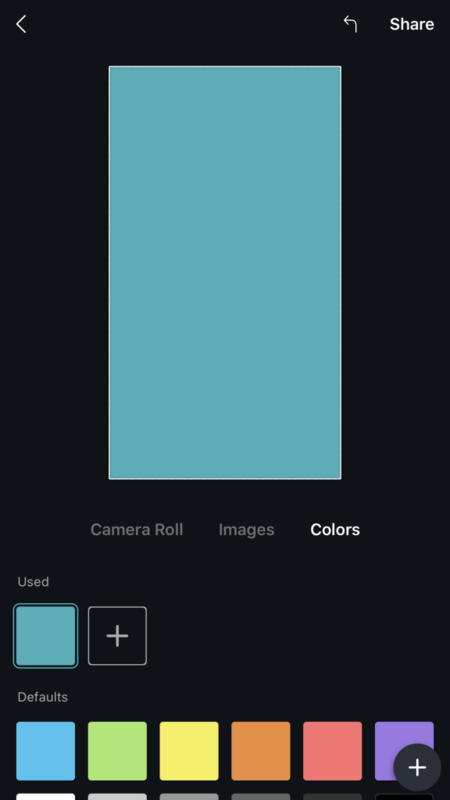 Here you can select from the pre-determined swatches, or click the + button on the first row of swatches to create your own custom hue. Now you can either enter your brand’s colour code (RGB) into the text field, or slide your finger through the gradient to find your perfect tone. Click done and the colour will be applied to the canvas. You now have a coloured canvas to apply your designs to. Now you can apply graphics (icons, shapes, illustrations) to your highlight cover. 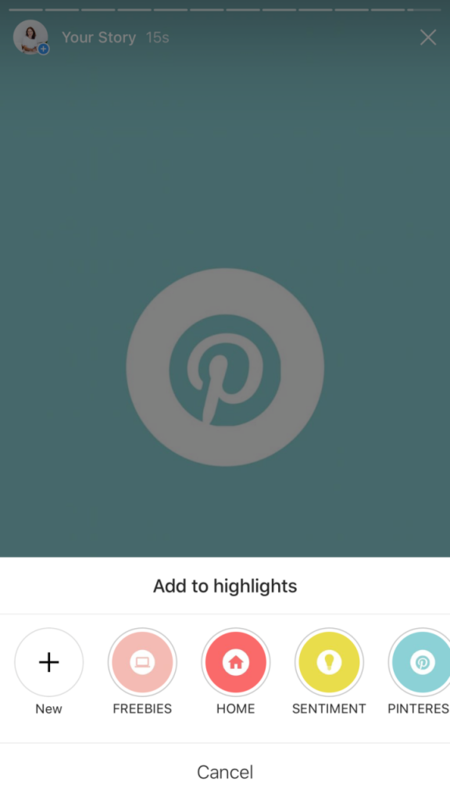 The first design I created was a Pinterest cover to highlight my Pinterest-related stories. 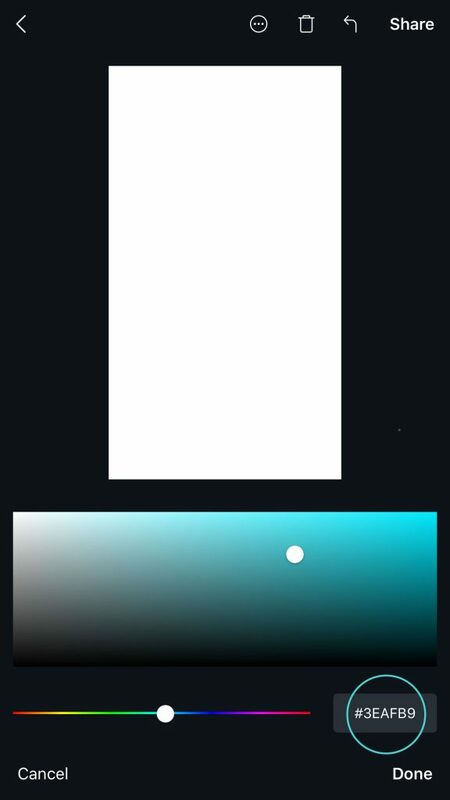 Scroll through the library of graphics, and simply tap on your selection to place it onto your canvas (I started with a circle as my base). Be sure to place your graphic directly in the centre of your canvas (Canva automatically provides rulers for this). 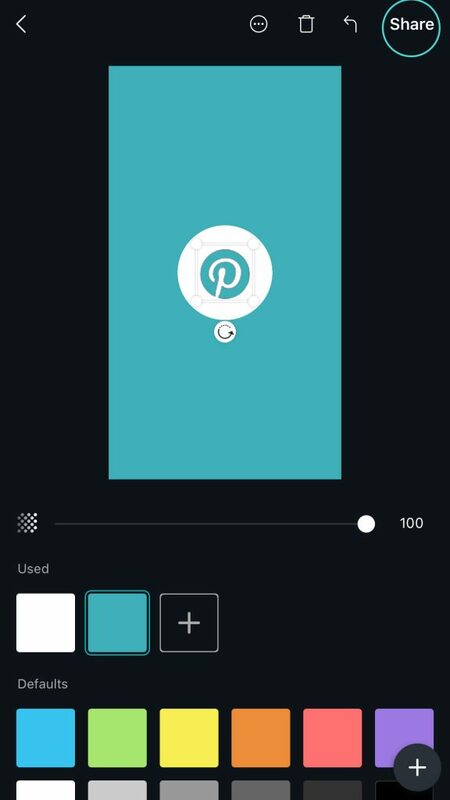 I kept my circle white, however to change the colour, tap on the graphic, then select a colour from your palette. 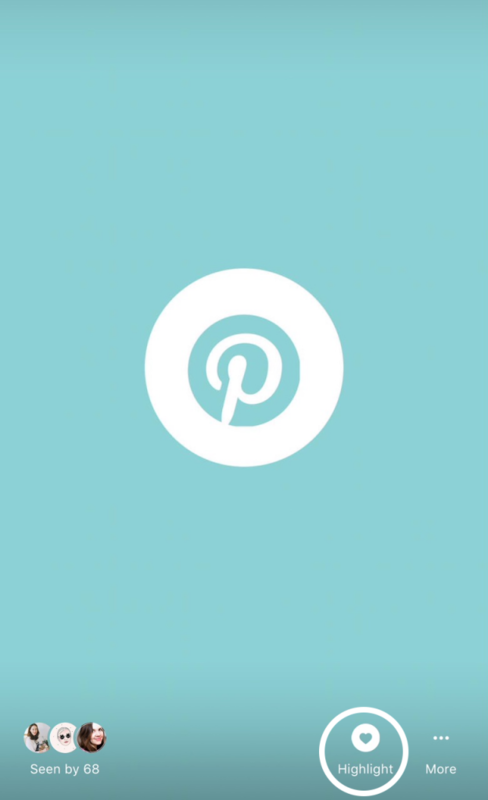 In this case I used 2 graphics – a circle as my base and a Pinterest icon layered on top. Have fun with your designs to give them your own unique twist. 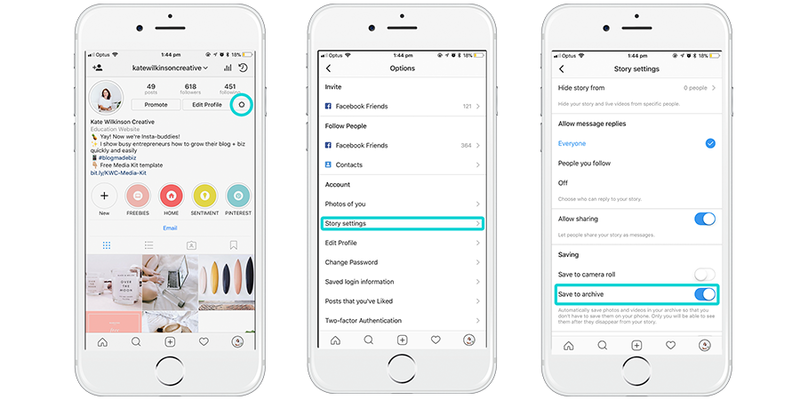 Once you’re happy with your designs click Share, then save your stories to your phone’s Camera Roll. Time to share your designs! You can create a new highlight, or add the cover to an existing Story highlight. Now that you’ve created one graphic, just repeat the process for your remaining highlights! 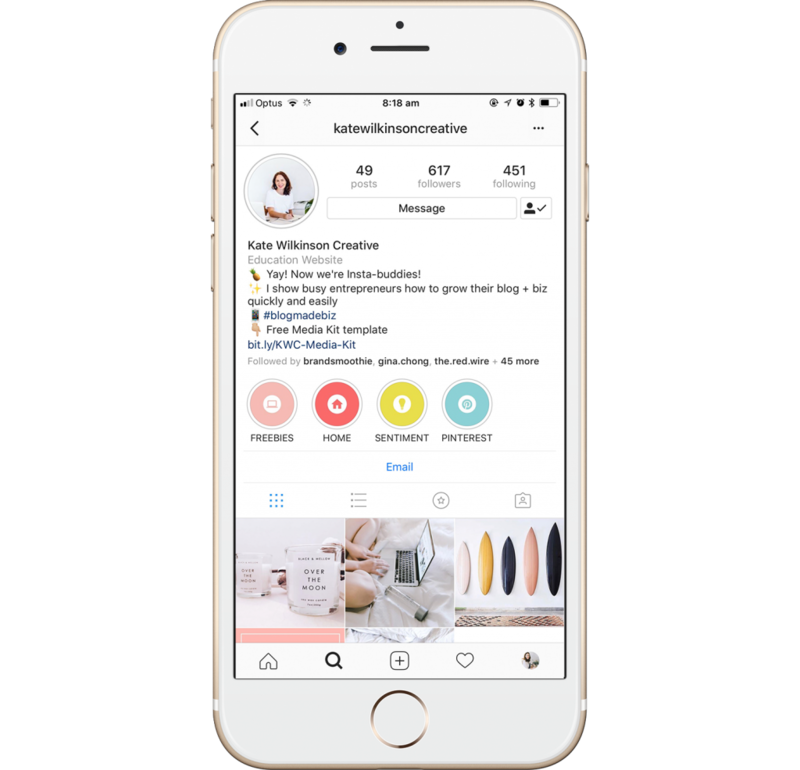 And be sure to share your designs with me on Instagram @katewilkinsoncreative!